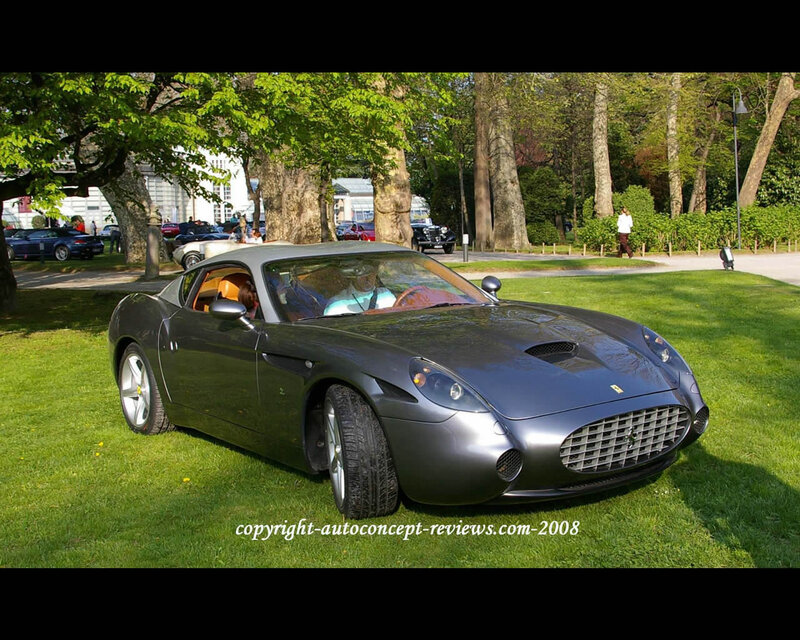 This special bodywork by Zagato responds to a special order by Japanese client. 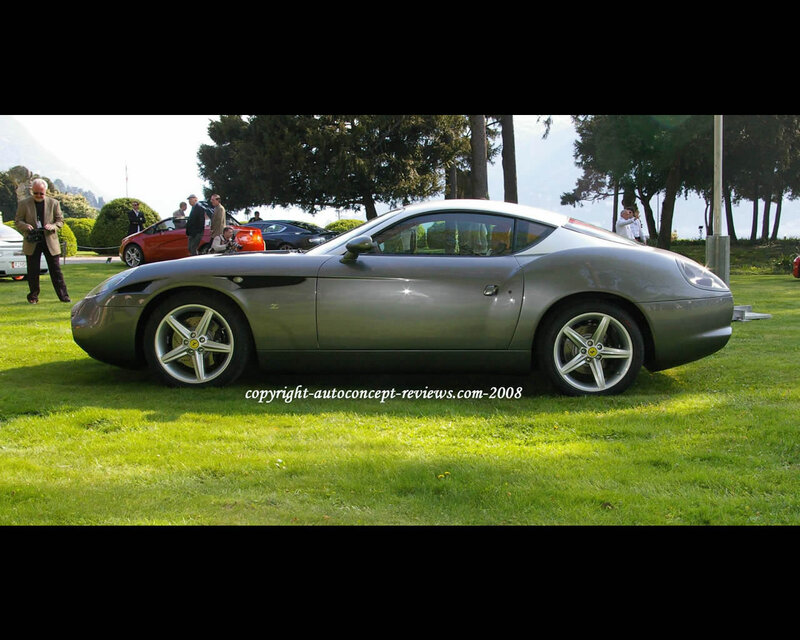 The base car is a Ferrari Maranello 575 with 5750 cc engine. 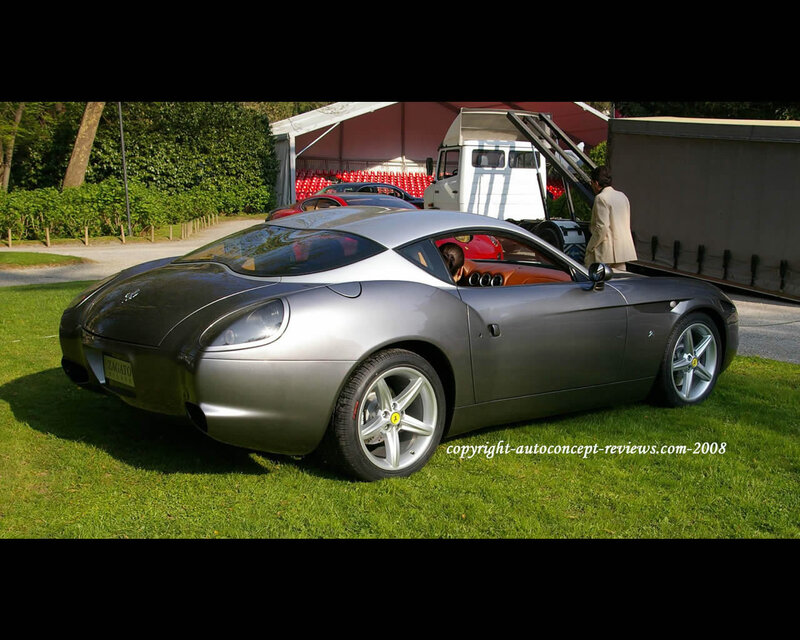 The body style commemorates the Ferrari 250 GTZ of 1956 with two tone color treatment and double bubble roof.